Stephanie Chuang (Medill ’07). After surviving chemotherapy treatment for her lymphoma, Chuang founded the website A Patient Story to support cancer patients and caregivers. 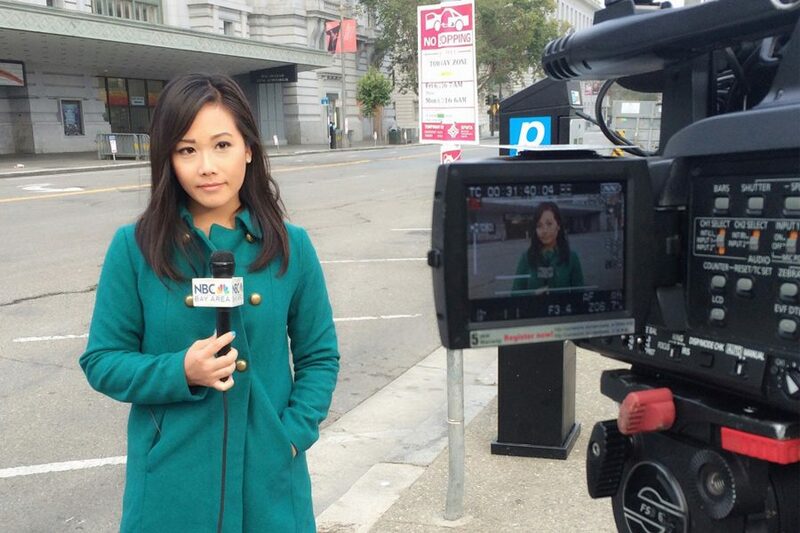 In December 2016, Stephanie Chuang (Medill ’07) was reporting in San Francisco for NBC News when she felt fatigue and experienced facial swelling. After a CT scan, the doctor diagnosed her with stage III non-Hodgkin lymphoma. After 700 hours of chemotherapy treatment, Chuang is in remission, and said her experience motivated her to create a positive impact on others like herself. Six months after her recovery, Chuang conducted in-depth interviews with cancer survivors and caregivers and established The Patient Story, a website created to provide information for cancer patients. The Patient Story features an FAQ section to answer patients’ pressing concerns and a timeline to showcase what the typical life of a cancer patient looks like. On the website, users can find personal stories of people who have survived a wide range of cancer types. In addition to patients’ accounts, the website also includes perspectives of oncologists and social workers to shed light on what other people can do to support cancer patients. “Our website is called The Patient Story, but we are creating the content for both patients and caregivers,” Chuang said. Chuang said she was inspired to create the website because she found the existing resources unhelpful. When first researching her disease, Chuang said she and her family were overwhelmed by the use of medical jargon online, and she said the confusion only worsened her mental health condition. Chuang added that her website stands out from other self-diagnosing sites because it is in-depth and first-hand. Since the content is curated by medical professionals and people who dealt with similar challenges, users can find valuable and reliable information, she said. The website offers advice from actual cancer patients and caregivers on how to cope with cancer treatment, which is “often a roller coaster of overwhelming events,” Lia Akhilanda –– a licensed clinical social worker who was featured as a caregiver on The Patient Story –– said in an email interview. “We need to hear the stories, the successes, the challenges, the meaning of it in their life, so that we as communities, medical institutions and as a society can continue to understand … how to support them best,” Akhilanda said. While The Patient Story is still at its “nascent” stage, Chuang said she is thinking about adding a curated forum for patients to ask questions and receive more personalized feedback. In February, the site will also host its first webinar, inviting a mixture of patients, caregivers and medical professionals to answer questions raised by cancer patients, Chuang added. Among those impacted by The Patient Story is Joyce Yu, a registered nurse who was diagnosed with non-Hodgkin lymphoma last year. Yu said she felt less lonely and more informed after hearing the personal stories of people who were also diagnosed with such a rare disease and survived cancer treatment.